Chromium is a trace metal mineral that doesn’t get as much attention compared to some other “heavy hitter” minerals (like iron or calcium). This might be because scientists are still making discoveries about chromium, but we certainly know enough now to say that this mineral is crazy important for health! The main role of chromium (at least as far as we understand it) is in the potentiation of insulin. Insulin is the hormone released by the pancreas that is the major player in controlling our blood sugar. In fact, chromium supplementation may help improve insulin sensitivity! Interestingly, scientists are still trying to figure out the exact mechanism of action of chromium. The biologically-active form of chromium is currently unknown. Some research has suggested that chromium aids in insulin sensitivity (that is, keeping our cells sensitive to signals from insulin) by preventing the degradation and clearance of insulin, making it more available to bind to cells and allowing the entrance of glucose into cells. Other suggested mechanisms are that chromium reduces markers of oxidative stress and inflammation, both of which are associated with insulin dysregulation. Evidence about how chromium sufficiency impacts health is ambiguous at best. There is currently no measure of chromium in the blood; it is only measured as excreted waste in the urine. Higher urine chromium has been demonstrated in endurance runners and weight trainers, suggesting that there may be increased chromium demands on those who exercise regularly. Studies that included supplementation with chromium picolinate (the best-absorbed form) have demonstrated some improvement in risk for type 2 diabetes as well as cardiovascular disease. But, as you might suspect, studies have been mixed. So, based on this, it seems like aiming for the adequate intake (AI) levels (rather than going above and beyond, aiming for a high intake of chromium), is the most evidence-based recommendation I can make! The AI for adult men is 35 micrograms a day, and the AI for adult women is 25 micrograms a day. Chromium continues to be enigmatic, as there is no large database of chromium contents of food (compared to most other vitamins and minerals, which are generally well-documented in almost anything we can eat!). A lot of the chromium found in today’s grocery stores is in processed foods. 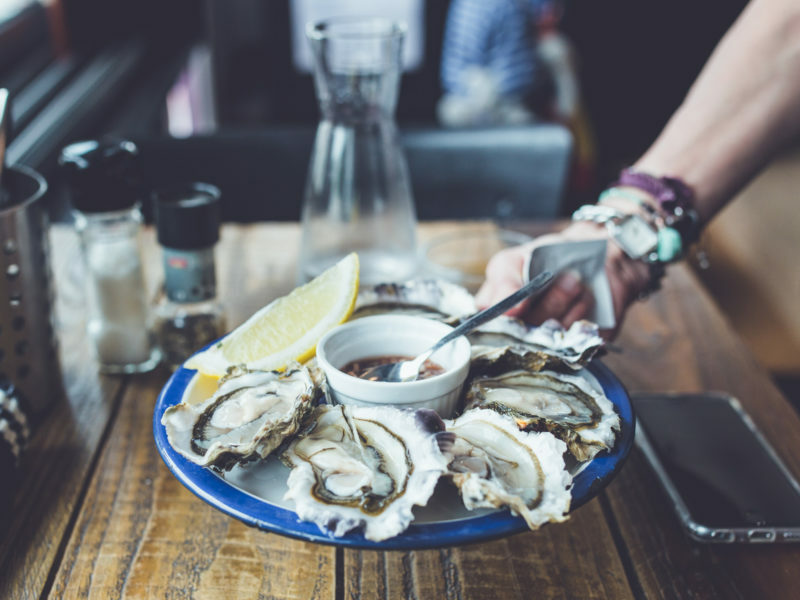 Chromium is found in small amounts in every food group but is most abundant in foods such as oysters, liver, broccoli, green beans, leafy green vegetables, mushrooms, and tomatoes. Brewer’s yeast and blackstrap molasses are also good sources. Stoecker B. Chromium. In: Shils M, Shike M, Ross A, Caballero B, Cousins R, eds. Modern Nutrition in Health and Disease. Philadelphia: Lippincott, Williams & Wilkins; 2006:332-337. Saltiel AR, Kahn CR. Insulin signalling and the regulation of glucose and lipid metabolism. Nature. 2001;414(6865):799-806.